Theism and atheism (as conventionally understood) are two sides of the same coin: namely, an emphasis on beliefs. Conventional theism — the faith of the typical American Christian, for example — entails mandatory affirmation of a set of dogmas (derived from scripture) regarding the origins of the universe, of life, the nature of good and evil, miracles and divine intervention, the afterlife, and usually something about the final fate of the universe and the inhabitants therein. Conventional atheism, on the other hand, is the lack of such beliefs. Atheism does not prescribe any particular set of beliefs. Instead, it proscribes a belief in a God or gods and the doctrines and scriptures derived from such belief. Outside of that, atheists are free to believe whatever they wish. It’s important to note that atheism says nothing about supernatural forces or beings, otherwise. 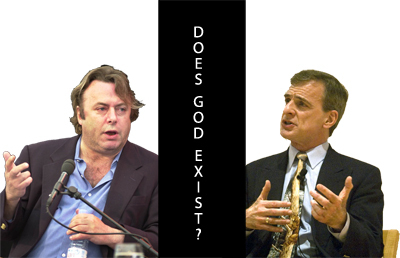 While atheism is often coupled with an insistence on skeptical, rational inquiry, they are not one and the same. There are atheists who embrace New Age spirituality and a form of “sympathetic magic” (e.g. — tarot, astrology, and other sorts of magical thinking). And there are rational skeptics who embrace a sort of pantheism/panentheism or deism and consider themselves religious (though they are quick to distance themselves from dogmatic faith or belief). In fact, outside the circles of the naively religious, fundamentalists, and religious conservatives, God beliefs are more important to atheism than they are to theism. One simply cannot believe in God and call one’s self an atheist — they are mutually exclusive. But the same is not true of theism. There is a long tradition of religious thought and practice that doesn’t concern itself with God beliefs. And theologians have argued that this form of theism may actually be more fundamental than those that insist on particular doctrines. Sewell: The religion you cite in your book is generally the fundamentalist faith of various kinds. I’m a liberal Christian, and I don’t take the stories from the scripture literally. I don’t believe in the doctrine of atonement (that Jesus died for our sins, for example). Do you make any distinction between fundamentalist faith and liberal religion? “The Hitchens Transcript.” Portland Monthly. January 2010. I have enormous respect for Hitchens and his extraordinary eloquence, intellectual integrity, and encyclopedic knowledge of history, literature, and art. His position is one of the New Atheist talking points, shared by his colleagues among the “Four Horsemen” — Richard Dawkins, Daniel Dennett, and Sam Harris — which argues that religion loses all meaning when it’s released from its supernatural and superstitious moorings. This is one point — perhaps the only point — on which fundamentalists and the New Atheists wholeheartedly agree.